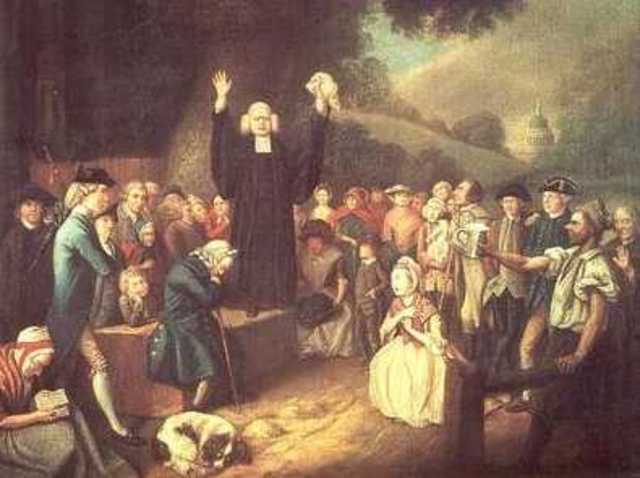 The Great Awakening is an important event because many preachers like Johnathan Edwards revived thousands of people with each sermon. 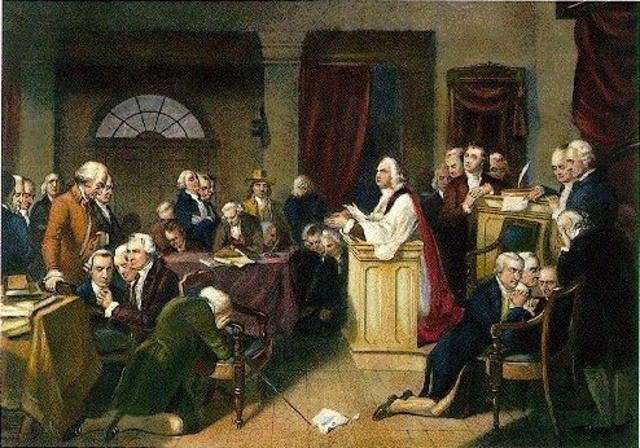 The Great Awakening was caused because many church leaders feared that many colonists' dedication to their religion was declining. During the Great Awakening, there were many unorganized evangelical Christian sermons. The colonists felt like there was equality in the world at the time. The Britain didn't agree with the ideas of the Great Awakening. The Great Awakening was believed to lead to encouraging colonists to demand greater political equality. 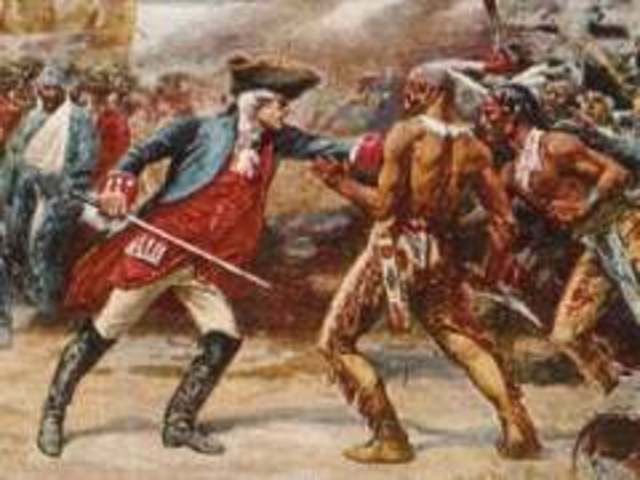 The French and Indian War was important because it showed that the teamwork with the French and the Indians and how they beat Britain for their land. 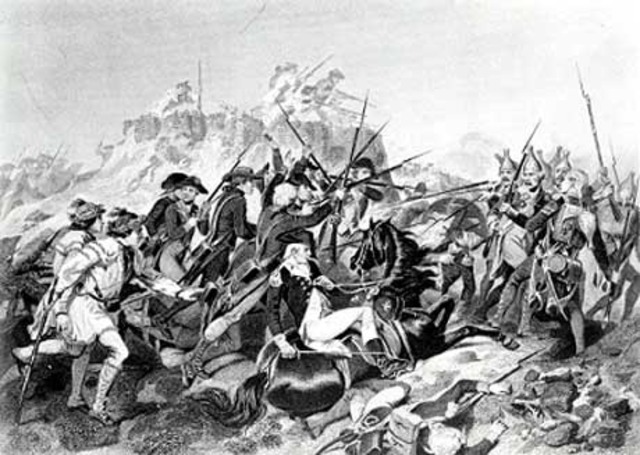 The French and Indian war began because Britain wanted all of France's land and were willling to fight cause of it. The Indians had something against Britain too because they would not leave the Indians land. During this event, the British suffered more defeats in the first few years, but then won more of the battles within the years. The Proclamation of 1763 was important because it banned any further British colonial settlement West of the Appalachian Mountains. This event happened because Britain did not want to intrude the French or the Indians. The colonists moved West of the Appalachian anyway and made Britain and the Indians mad. This led to Further separation between Britain and the Colonists. The British ended up winning the war. 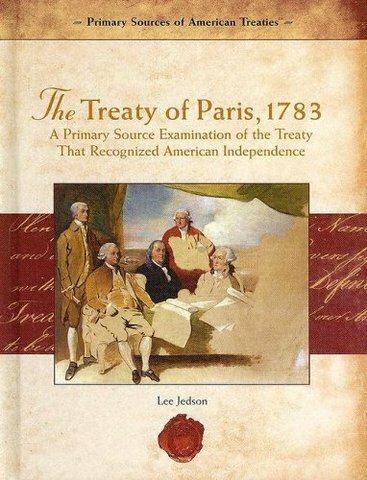 This led to the signing of the Treaty of Paris. The Sugar Act was important because it taxed molasses and sugar imported by the colonists. This event happened because even though Britain won the French and Indian War, Pariliament still had to pay for its debt. This led to many arguements and smuggling because the colonists did not see the point in paying for sugar and molasses. This led to more taxation and smuggling in the colonies. This act was important because it made Colonists pay for a required official stamp after you bought news, paper, etc. This happened because the Colonists complained so much because of the Sugar Act and failed to suggest a new taxation. During this event, Colonists began protesting immediately because they had to pay for every single paper item. This led to the Colonists getting angry and demanding a new tax or no taxing at all. The Townshend Act was important because it placed taxes on imported glass, lead, paints, paper, and tea. This tax was placed because it replaced the Stamp Act. During this event the British had special search warrants to search for smuggled goods. Many colonists thought that the Townshend Acts took too much power away from colonial counts and legislatures and gave it to the royal officials. This led to some trouble in Boston. 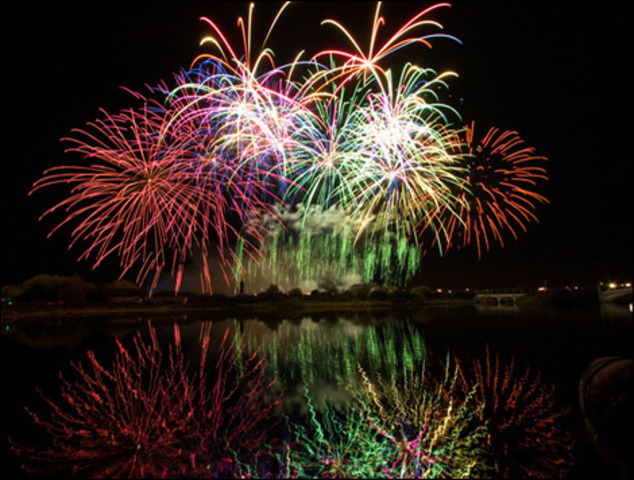 This event was important because this was the British's first fire towards the colonists. 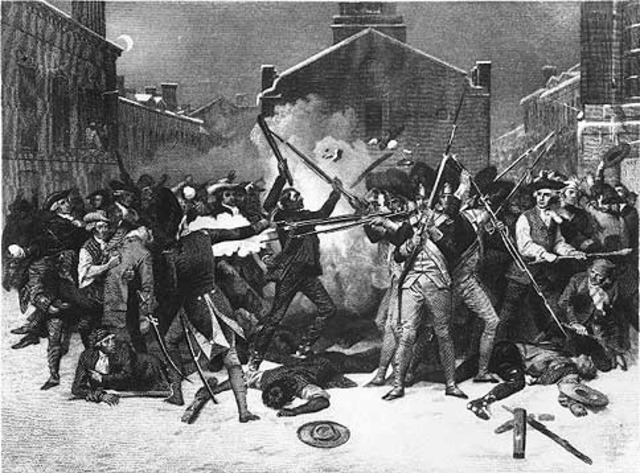 The Boston Massacre occured because the colonists were throwing snow balls at Britain because of all the taxes. Then the British got mad and took fire and killed or injured 5 people. The colonists were very angry and did not want to be considered part of Britain anymore. This led up to more tension between Britain and the Colonists. This event was important because Parliament repealed the Townshend act but put tax on tea. This event happened because Parliament still wanted to show they had control over the Colonies. During this event Parliament put tax on tea and repealend the Townshend Act on the Colonists. The Colonists tried boycotting but it did not work. This led to the Boston Tea Party. The Boston Tea Party was an important event because a group of disguised colonists dumped all the tea on British ships into the sea. 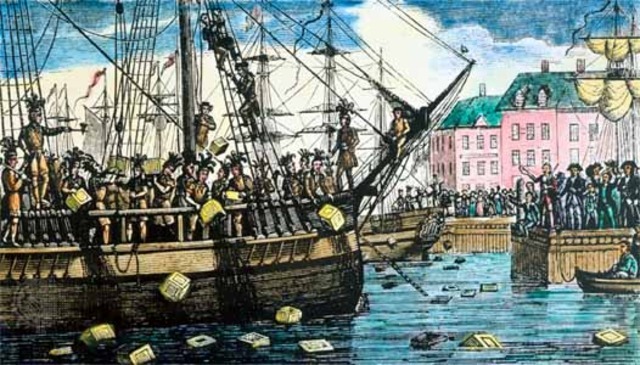 The tea act caused this event to happen. The British were very angry and decided to put the Intolerable Acts. This event was important because the british passed 4 intolerable laws. The Boston Tea Party caused this event to happen. 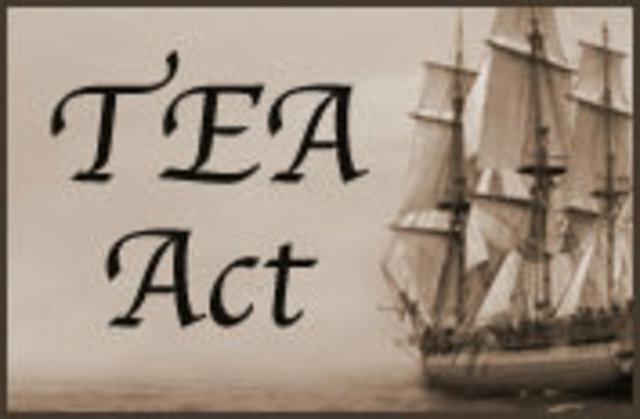 During thsi event Britain passed four intolerable laws to only Boston to reflect the acts done in the Boston Tea Party. The Colonists boycotted, were very angry, This led to violence between the Colonists and Britain. This event was important because the Colonists suprised Britain by already securing Bunker hill and Breed's hill. This event happened because of the Revolutionary War. The British were really shocked and it was an important win for the colonists. This led to one of the books Paine wrote, "Common Sense"
This act was important because Paine wrote that the legal system was unatural. 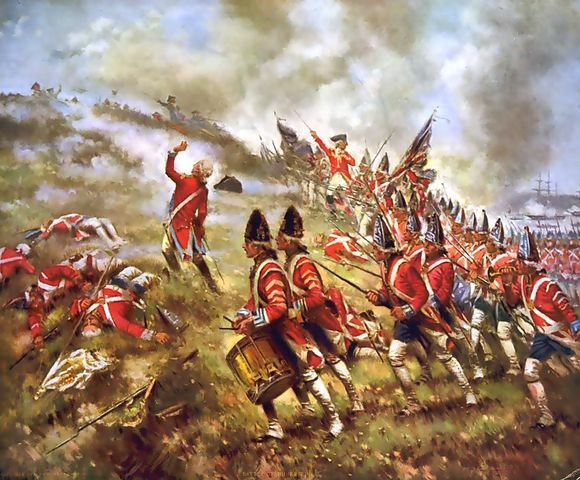 the Battle at Bunker Hill and all of the unrightful acts before caused this event to happen. 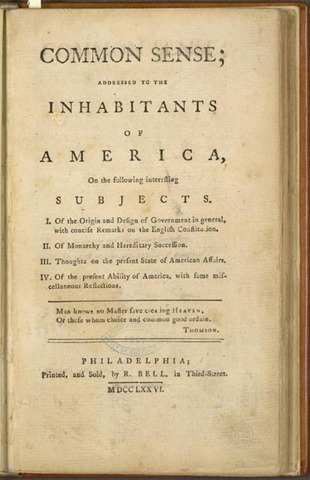 During this event, Paine wrote how the legal system was unatural and wrong. The colonists strongly agreed. This led to the Declaration of Independence. The Declaration of Independence was important because it stated why the Declaration of Independence was written and 25 rules that King George abused. 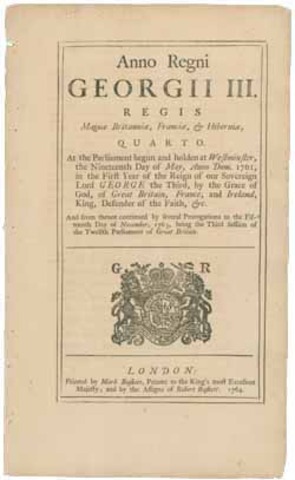 King George and Parliament caused this document to happen. The Colonists agreed. This led to a couple more battles then peace among the states. This event was important because the patriots beat the British for Independence. All the Battles before caused this event to happen. 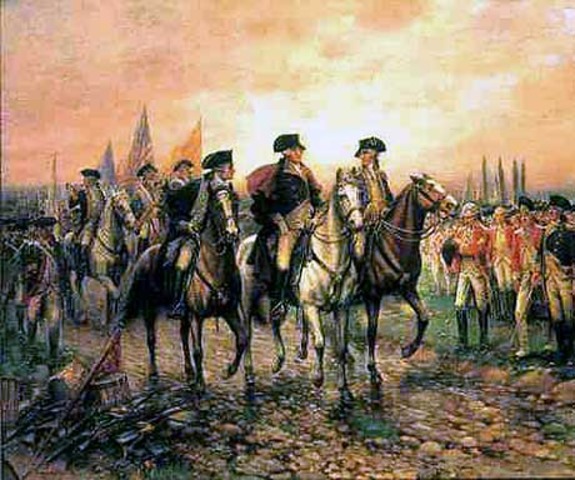 During this event, the patriots beat the British for Saratoga, New York. The Colonists felt relieved and felt very happy. This led to the Battle of Yorktown. This event was important because it was one of the last battles but the last important one. The Battles before caused this event to happen. During this event, the colonists won the war. Colonists rejoiced and were very happy. This led to the Treaty of Paris. This event was important because it established British recognition of the United States. The final few battles caused this event to happen. During this event the British recognized the United States as equal. The colonists rejoiced and were finally happy among the states. This led to peace and Happiness between the United States and the British for the time being.